Tonnerre manages a broad ranging investment portfolio. With minority positions in diversified holdings across property, listed equity, venture capital and private equity investments. Tonnerre seeks to derive stable sources of income with a secure capital growth target. ​Tonnerre seeks to support Australian innovation by investing in local talent. ​AgriWebb is focused on transforming the $870 billion global livestock industry through intuitive software and hardware to feed the global protein demand. Our technology is specifically designed to track and interpret data for increasing short-term farm efficiency, enable long-term process improvement and shifting the current livestock sales process to an online platform. 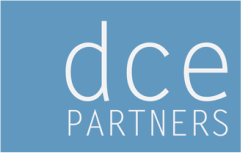 ​DCE Partners is a private equity firm that identifies, structures and actively manages direct investments, on the ground, in Africa for its network of investors who seek exposure to private equity deals in the region. Helix is a global equity market-neutral hedge fund. We use quantitative methods to evaluate the global stock markets and construct a multi-beta neutral portfolio. The goal is to provide consistently high risk-adjusted returns that are uncorrelated to other alternative investments, especially during times of market stress. 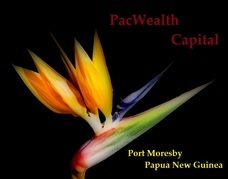 PacWealth Capital Limited (PCL) is a licensed Investment Manager domiciled in Papua New Guinea. PacificWealth aims to redefine financial management in PNG by delivering superior customer service and outstanding international products to the PNG market. Cavitus is a privately-held company acknowledged as the leading proprietary systems developer and solutions provider of HPU applications for optimising liquid-phase manufacturing. Customers include agricultural commodities, FMCG, industrial chemicals and pharmaceuticals companies in Asia, North America and Europe, served both by Cavitus directly and by our channel partners.